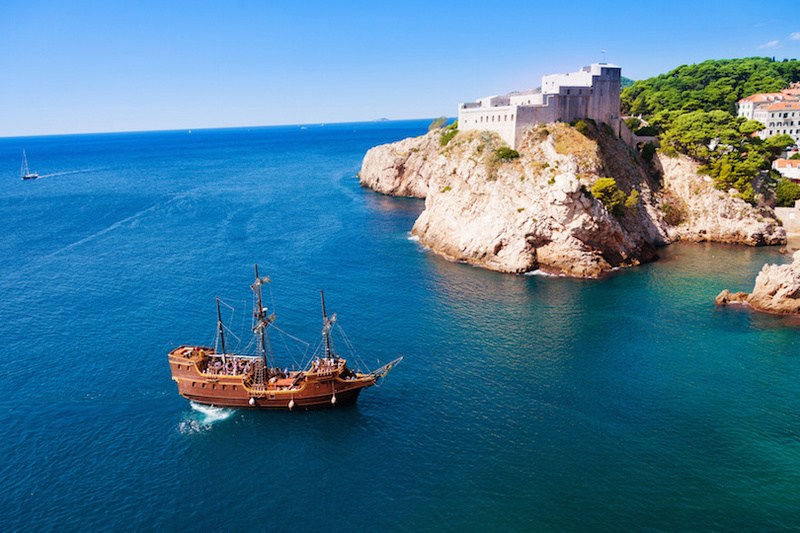 Dubrovnik, known as the Pearl of the Adriatic, is a remarkable and exciting destination for travelers. While you’re there, make the most of it by exploring beyond Croatia and seeing some of the other incredible and historic cities and countries that are so near. 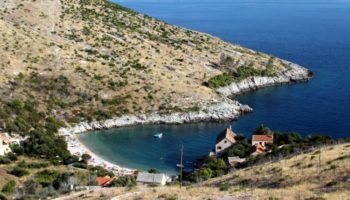 A full day trip from Dubrovnik can take you to Montenegro, a small country with a lot to offer travelers. 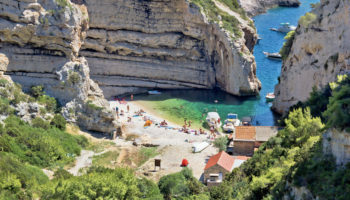 Begin the day trip of a lifetime in Dubrovnik, and enjoy a scenic ride south along the coast. Out your window, you’ll see much of the Adriatic Sea and the Dubrovnik Riviera, and then you’ll cross into Montenegro and approach the Bay of Kotor. 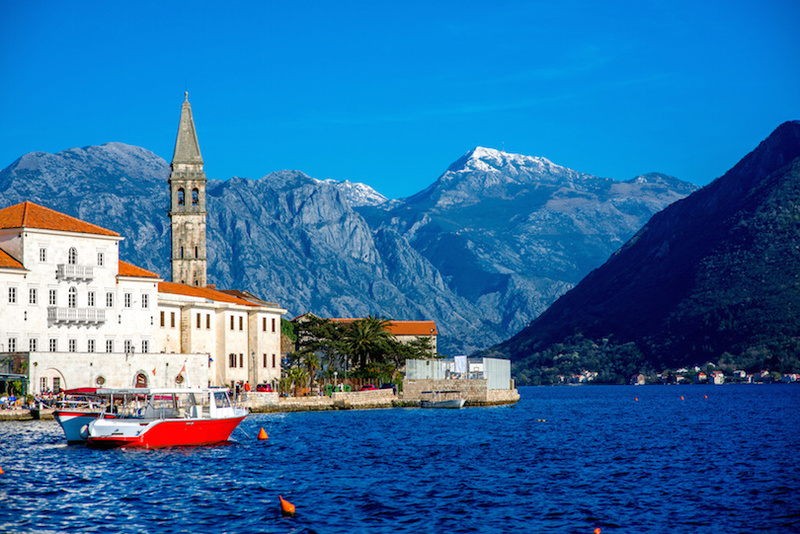 Perast in Montenegro is the first stop, and you’ll have a choice here to either explore on your own or set off on a brief excursion to Our Lady of Rocks Island, an amazing spot that is home to a baroque church. Then, it’s onward to Kotor, a city fjord that is surrounded by water and steeped in history. 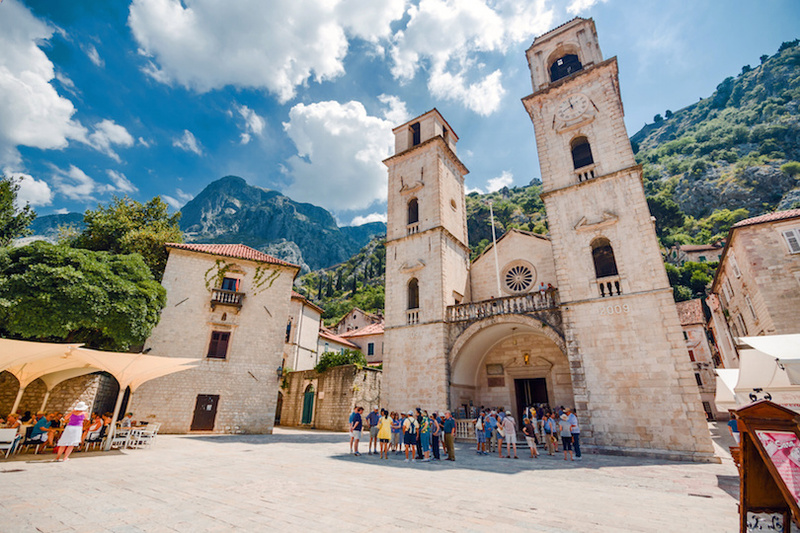 A guided walking tour will take you through the highlights of Kotor, which will include the Cathedral of St. Tryphon, San Giovanni Castle and charming, cobblestone streets. 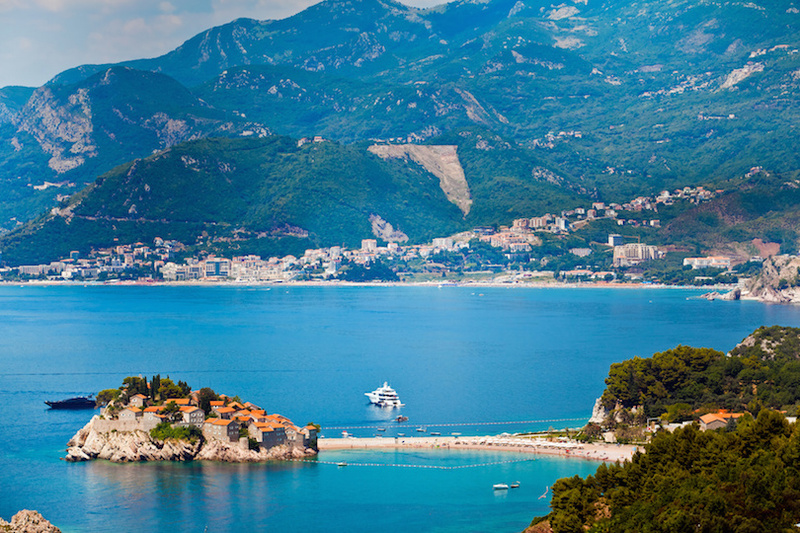 After Kotor, it’s just a short drive until reaching Sveti Stefan on the Adriatic. This scenic stop was once a tiny medieval fishing village, but it has transformed over time into a spectacular luxury resort. 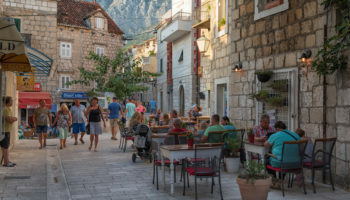 Just 15 minutes from Sveti Stefan is the walled city of Budva, which has a history dating back for more than 2,500 years. You’ll be able to see medieval architecture right next to white sand beaches, making it one of the most impressive destinations in Europe. Explore the city on your own, or just kick back and enjoy a meal al fresco. A ferry ride on the Bay of Kotor is the cherry on top of an amazing day, and then it is back to Dubrovnik by nightfall. 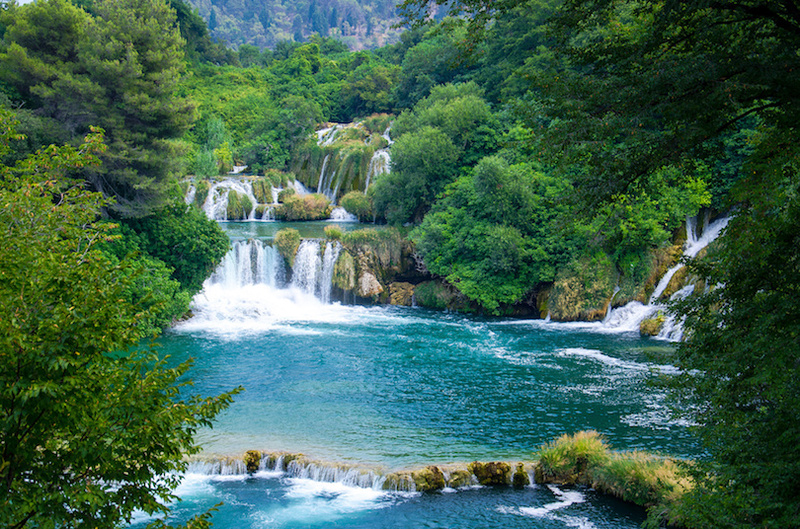 Bordering Croatia is Bosnia and Herzegovina, an often underrated destination in Europe with an incredible history and a fascinating culture. 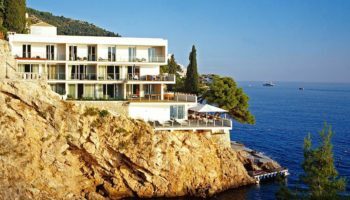 You’ll find castles, breathtaking scenery and wonderful heritage, and it is all relatively close to major cities like Dubrovnik. 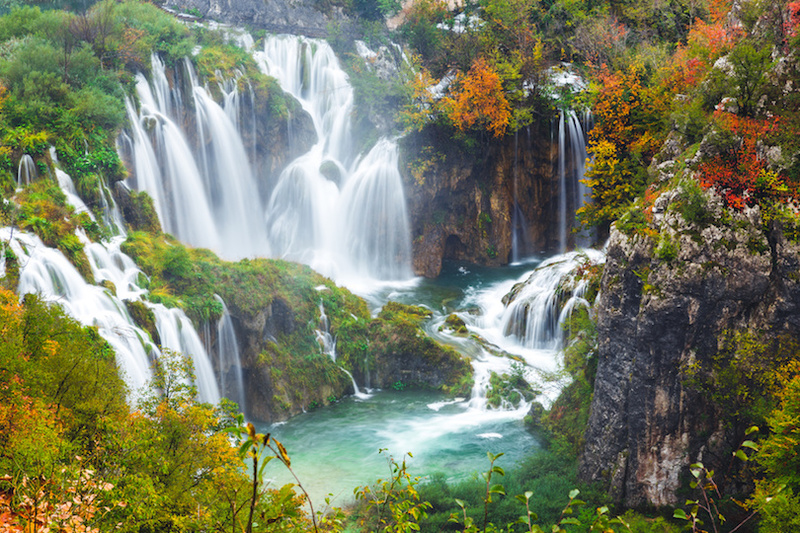 A day trip from Dubrovnik to Mostar can be the ideal introduction to the beauty of Bosnia and Herzegovina. 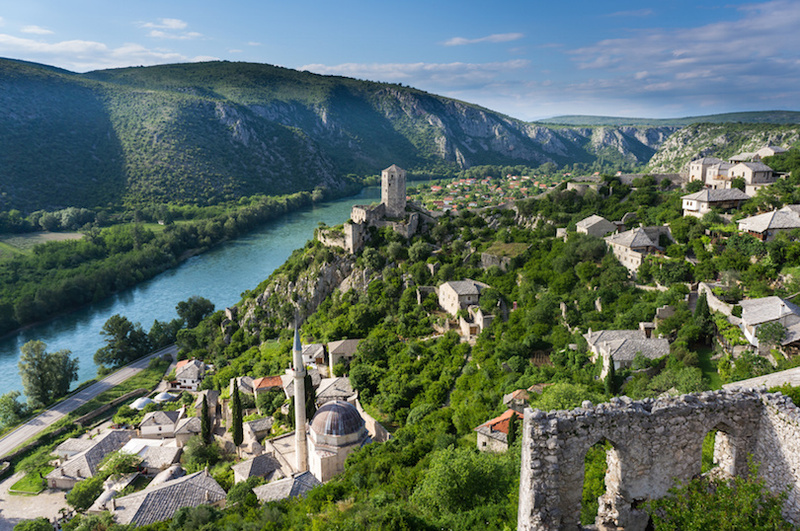 Aboard a comfortable bus, your day starts with a drive from Dubrovnik across the border into Bosnia and Herzegovina. A scenic ride through the Balkans reveals the incredible beauty of this part of the world. 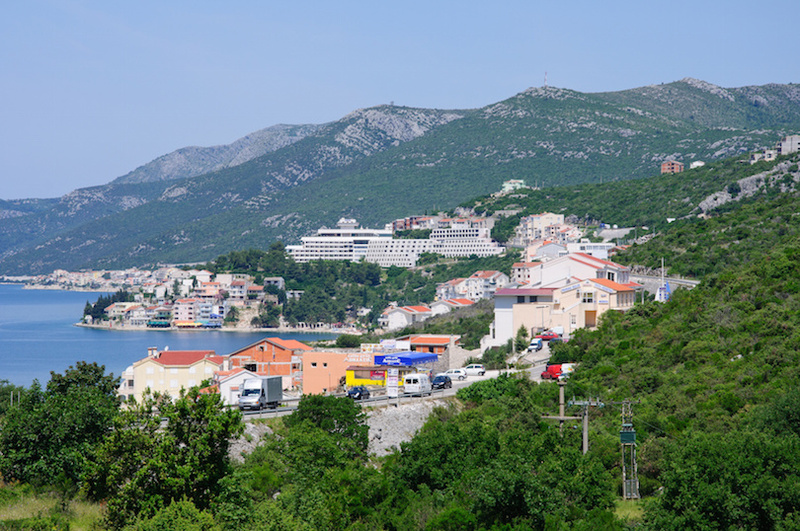 The first stop of the day is in Neum, the only seaside resort in the country. 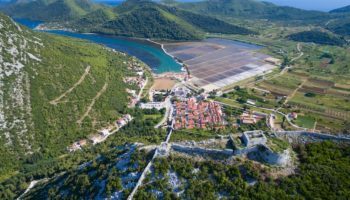 You’ll have a chance here to shop and explore on your own briefly before carrying on to the next stop on the itinerary: Počitelj. This small village is worth a stop because it is home to some breathtaking Turkish architecture, including the 16th century Gavrakanpetanović house and the remarkable Hajji Alija mosque. Next up, it’s the main attraction of Mostar. Once the most culturally diverse city in the country, Mostar suffered greatly in recent wars. However, much of the historical architecture remains, and tourism helps the city to thrive. The name of the city itself comes from the bridge called Stari Most, or Old Bridge, which was created by the Turks in the 16th century. 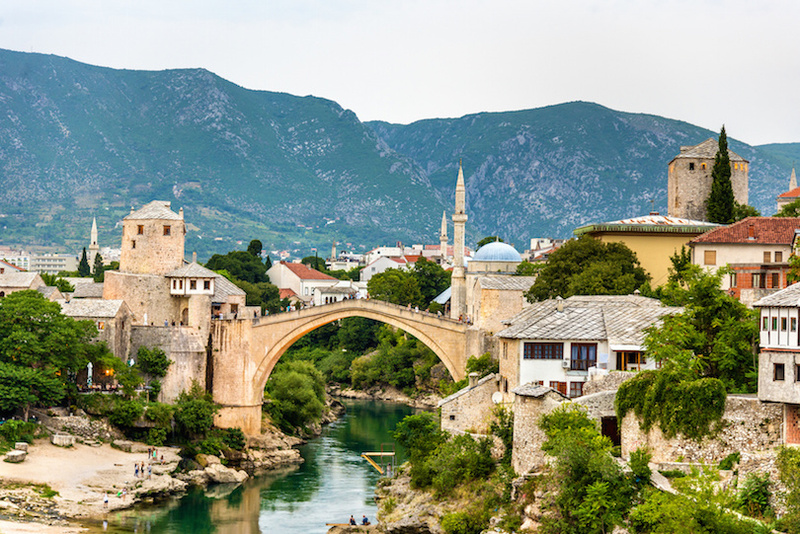 Other must-see attractions in Mostar include the 300-year-old Muslibegovica House, the Large Cross on the Hill and the Koski Mehmed Pasha Mosque, where you can climb the minaret and see over the entire city. After a guided tour, spend some time exploring on your own or snagging souvenirs, and then enjoy the comfortable ride back to Dubrovnik. Feeling a bit like Zagreb’s city life is a bit too urban for you? 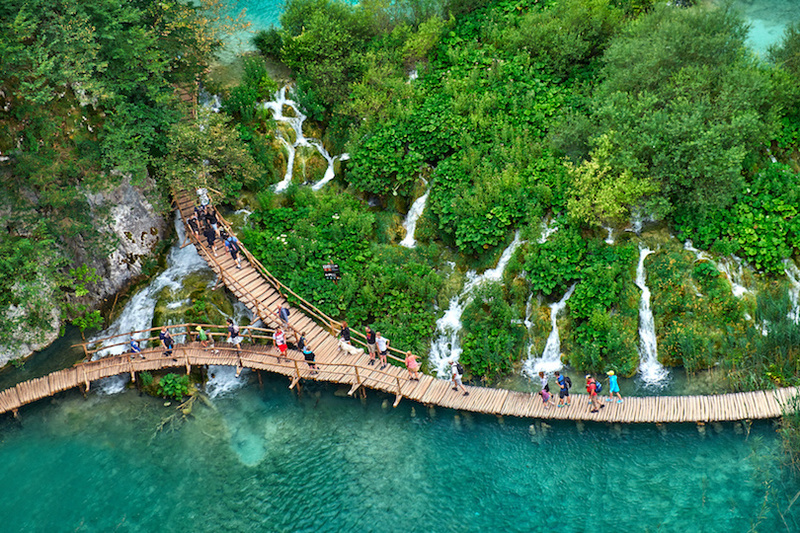 Then head out of Croatia’s capital city for a day trip to the beautiful Plitvice Lakes with a super guide. This guide – with local knowledge and a whole lot of other information – will teach you all about Croatian history. Once you’re at the park, get ready to be wowed by the stunning natural landscape. The lakes and the falls are breathtaking and look more than inviting on a warm summer’s day! You’ll also get to visit the charming historic village of Rastoke; a real slice of the Croatian countryside, this place is like a remedy to city life and you’ll love it. Stop off for lunch at an authentic restaurant to sample local cuisine. This tour also includes a train ride – always a perfect way to soak up beautiful scenery – as well as a chilled out cruise across Lake Kozjak. Depending on the time of year you go, you might even see the national park of Plitvice Lakes covered in snow, which is particularly beautiful. But let’s be honest: whatever time of year, whatever season you happen to visit this part of the world, it’s always stunning. 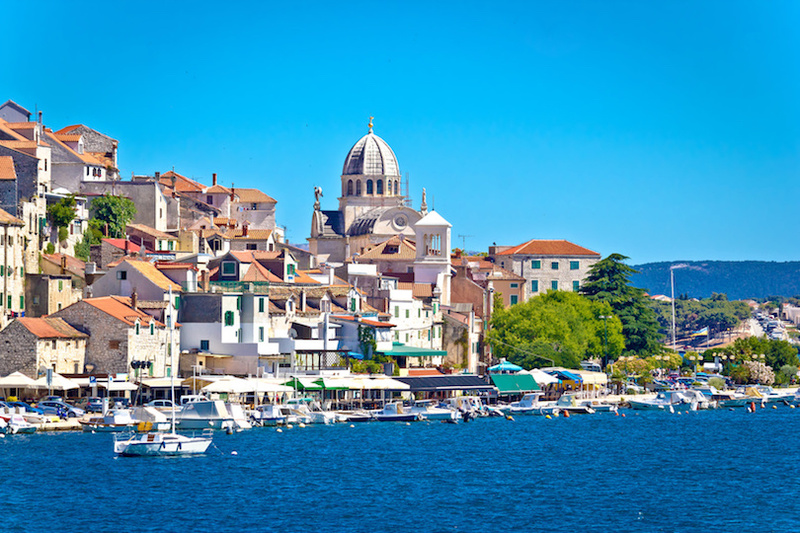 For a chance to sample Croatia’s amazing natural scenery away from the historic coastal towns that are so often visited, get out of Split for a day drive all the way to Sibenik. You’ll get whisked around the city that is packed full of historical sites. If you’re a Game of Thrones fan, this one is going to be for you; there are a few locations from the famous HBO series hidden around Sibenik. 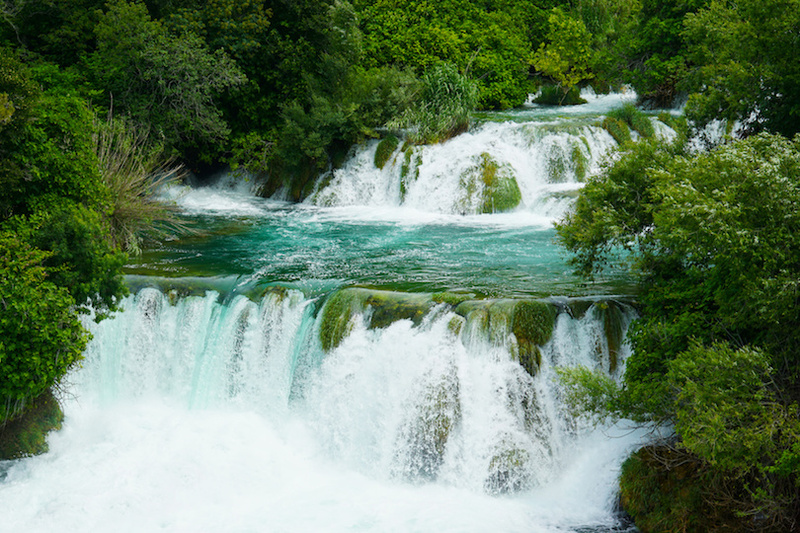 After that, it’s time to get yourself to Krka National Park. If you’re an active, outdoorsy person, you’ll love this one. 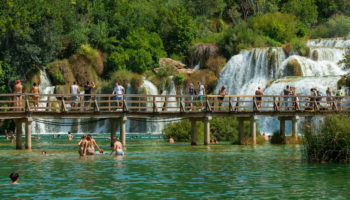 The tour guide (who really adds to this lovely day out) will take you on a hiking tour through the scenic landscape all the way to Krka waterfalls. And when you’re hungry, don’t worry, you’ll stop for lunch. If the weather is warm, you may even fancy a dip in the pools of the falls. To round it all up, you’ll hop in a boat and set sail to Skradin for a spot of cheese and wine tasting. Does it get much better than this? It’s a perfect way to end the day – especially if food and drink is your thing. 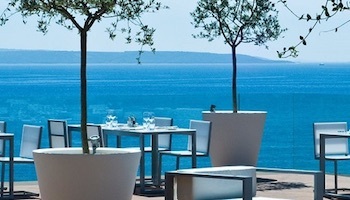 To truly appreciate just how spectacular the Adriatic is, go beyond the city of Dubrovnik. A cruise to the Elafiti Islands is a wonderful way to spend the day, and it is truly a journey that is equal to the destination. On a traditional sailboat, you’ll be surrounded by blue water and amazing scenery, and on the Elafiti Islands you’ll have the chance to step back in time and enjoy a historic, cultural and peaceful side of Croatia. 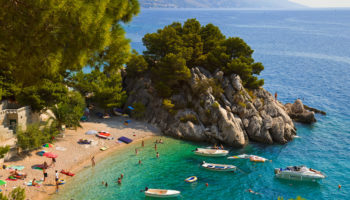 The best way to explore the coast of Croatia is by boat, and this tour offers the chance to board a unique galleon, a traditional sailboat. 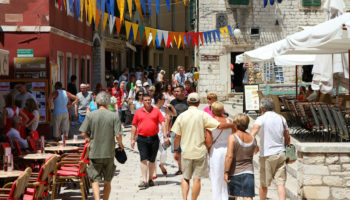 The departure point is in Dubrovnik, and the first stop of the day is the island of Koločep. You’ll have some free time on the island, and the best way to soak it all in is on foot. The next island stop is Lopud, where olive groves dominate and the village is a warm, welcoming place. 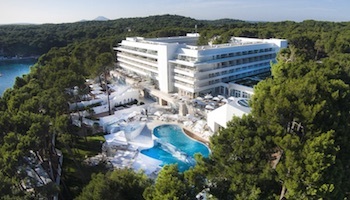 Lopud is the second largest of the Elafiti Islands and is best known for its sandy beaches. The final of the three islands is Šipan, yet another charming spot where time seems to have stood still. 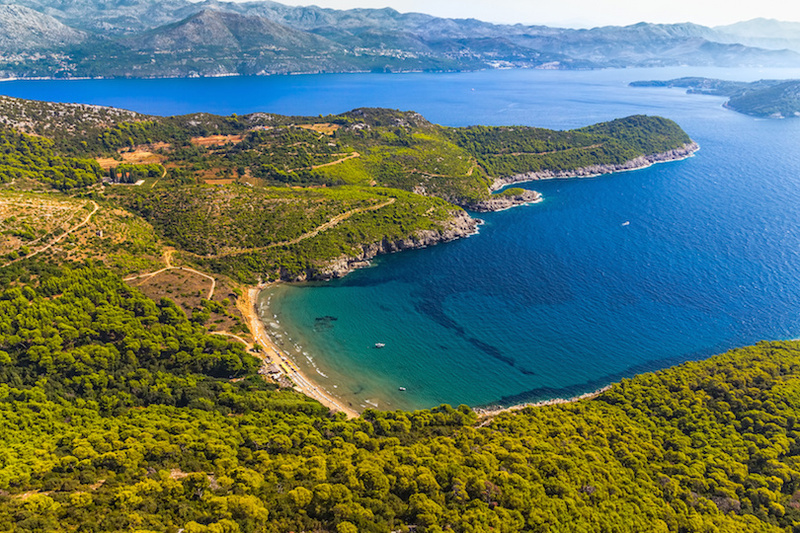 Compared to Dubrovnik, this sleepy island feels like it belongs in a different world. Šipan is also the right time to stop and enjoy lunch. In true Croatian style, this is a feast rather than a quick sandwich. 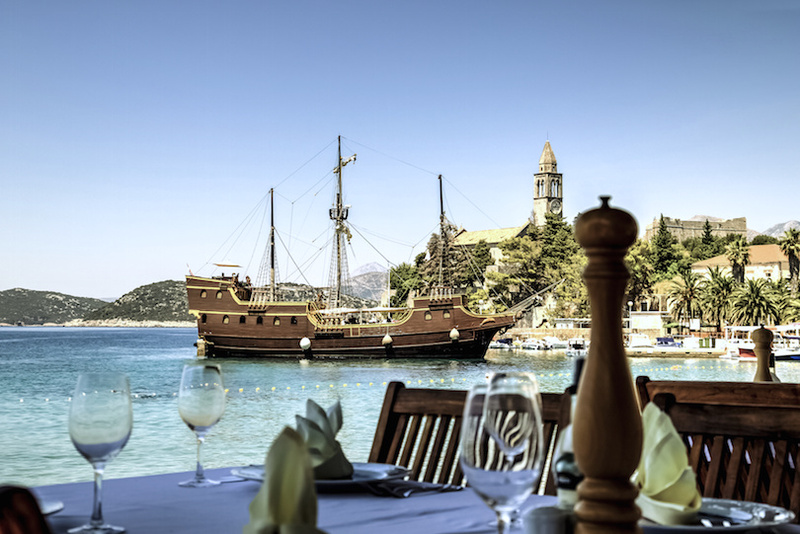 Dine on fresh grilled seafood, fresh produce and homemade desserts, and sip wine or strong coffee to finish. Dalmatian music in the background adds to the incredible atmosphere. Then it’s back on the sailboat, but the day is far from over. 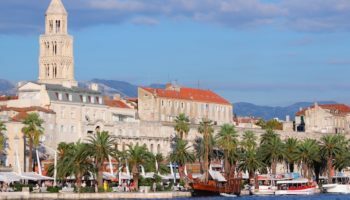 The return journey is a delight in and of itself, as the boat winds its way back along several islands, through the blue Adriatic and to the harbor of Dubrovnik.